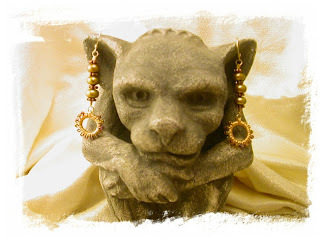 Irving modeling a pair of Eni Oken style earrings. 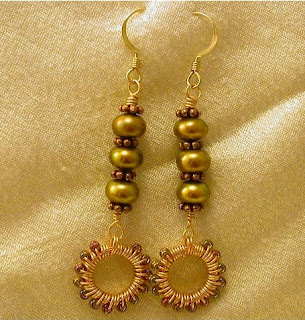 And again he is not amused... Three gorgeous golden color button shape freshwater pearls with copper spacer beads. The round dangles are made of copper and gold colored non tarnish wire with little root beer glass seed beads as embelishment.